Sometimes it’s difficult to spend much time thinking about the future when you are busy living in the now. However, there are certain things that people should be planning for. You pay car insurance so that you are covered in case of a future accident, so here are some things you should be doing for your future life. 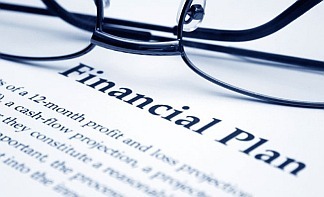 Future financial plans should always include your retirement plans. However, you don’t just want to put money away for retirement. Having some money in savings can be a great security net, for almost anything that comes your way. Emergencies And Unexpected Expenses– Have you ever had a flat tire or had your refrigerator break down only to realize you do not have enough money to replace it. If you had some money in savings you wouldn’t be stranded on the side of road or currently losing all of your food. Medical Emergencies– You may have insurance now since all of the changes, but it’s likely there are still some things your insurance doesn’t cover. As well, if you are one of the people that can’t afford health insurance it can be important to have some money saved up just in case you get an injury or an illness. You’re Teaching A Good Lesson– Not only does your savings give you more security, if you have children it helps you teach them a very good habit. Plus, your savings may end up helping them out with college or their first car. When it comes to major illnesses and death, it’s very important you have a plan set up to make things easier on your family. Start out by setting up your funeral arrangements ahead of time. This can take a huge financial burden off of your loved ones. You also want to have someone chosen that will be in charge of your health decisions and your financial decisions when you are no longer able to make them on your own. Talk to doctors and financial advisors on how to best do this. Don’t wait until you are already sick. If you end up using hospice care you also don’t want your family to have to pay for that. According to Rocky Mountain Care, a hospice facility in Utah, this care can be covered by Medicare and insurance, but if you don’t have that it may need to come from private pay (your pocket or your family’s). If you’re in debt, start paying it off now. It’s never too late to get out of debt. Plus, reducing your debt now might make it easier for you to save more money. Just don’t spend a bunch once you’ve gotten yourself back up out of debt. Avoid the use of credit cards and only spend on what you need. There’s no sense in dying with debt. Your future can be financially stable if you work towards it by saving money and watching what you spend it on.